The Rt. 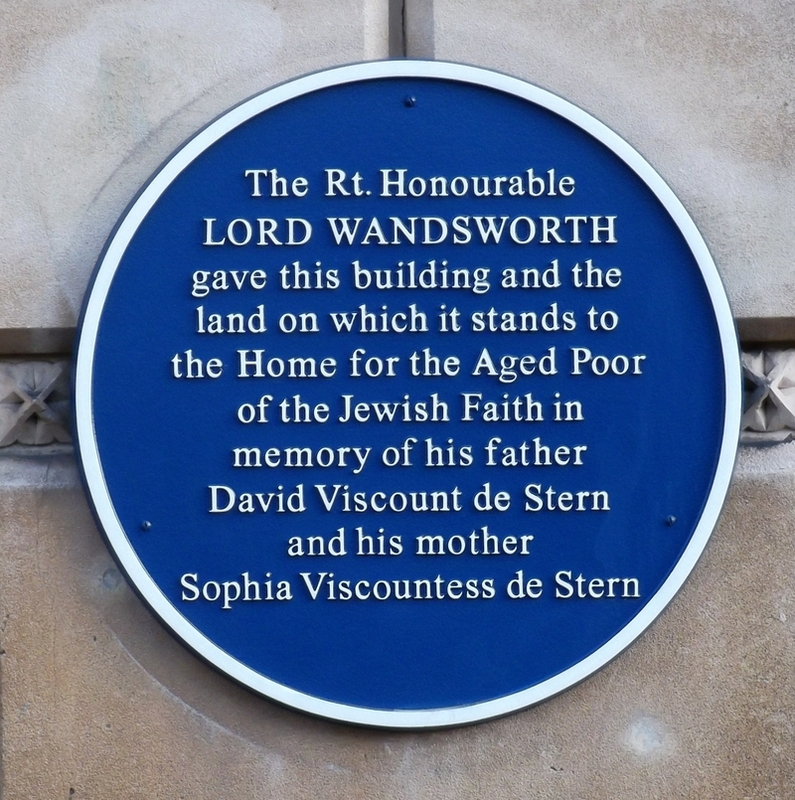 Honourable Lord Wandsworth gave this building and the land on which it stands to the Home for the Aged Poor of the Jewish Faith in memory of his father, David Viscount de Stern and his mother, Sophia Viscountess de Stern. 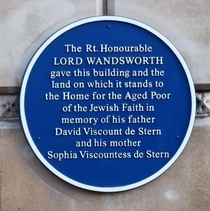 Plaque unveiled by Princess Alexandra.